Software expertise: 2000 - 1309 pages, Kelly L. Murdock has a background in engineering, specializing in computer graphics. When you first got your hands on 3ds max 4, you were probably focused on one goal ??? to create cool 3D images and animations. 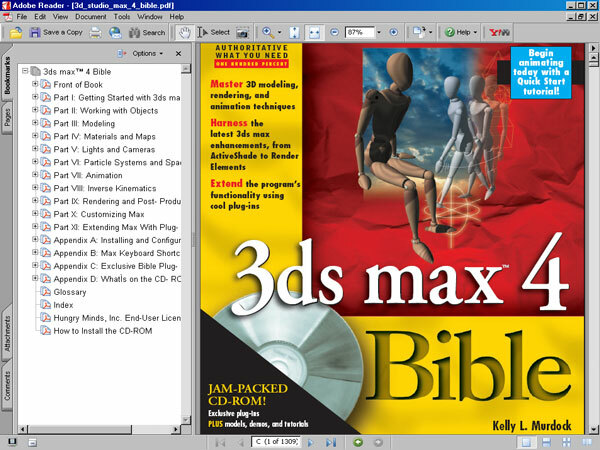 The book is divided into the following parts: Part I: Getting Started with 3D Studio MAX R4??? Whether it's learning about the new features in R4, understanding the interface, or discovering how to configure and customize MAX. When you first got your hand.